Rep. Larry Clark (D, Okolona) today introduced House Bill 400, legislation amending the 2007 Kentucky Jobs Retention Act (KJRA) to promote the automotive industry in Kentucky. Amendments to the act are designed to spur job creation and significant investments at Kentucky’s automotive and parts manufacturing facilities suchas Georgetown’s Toyota Motor Manufacturing facility and General Motors’ Bowling Green Assembly Plant. The General Assembly enacted the KJRA in 2007 as the primary tool in an incentive package that helped secure a $1.2 billion investment from Ford Motor Company to upgrade production capability at its two existing plants in Louisville. Ford now estimates that it may hire up to 3,000 new employees as a result of that legislation. House Bill 400 amends the KJRA by allowing projects related to automobile and parts manufacturing to seek incentives regardless of their location around the state. Current law limits the act to projects located only in cities of the first class. To qualify under both existing law and House Bill 400, proposed projects must have at least 1,000 full time employees and invest at least $100 million. Manufacturers of batteries and other automotive parts will be authorized to seek incentives under the amendment, provided they satisfy jobs targets and minimum investment requirements. The legislation will not have a fiscal impact to the state budget over the upcoming 2013-2014 biennium. 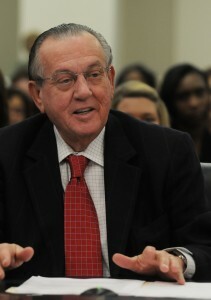 Larry Clark has represented the 46th Legislative District in southern Jefferson County since 1984. He has served the House as its Speaker Pro Tem since 1993. Clark has maintained a 100% voting record throughout his 28 year career in the Kentucky House of Representatives.